Hi there we’re Chris & Donna! Chris has been riding motorcycles on and off since he was 19 years old and is now 54 years old. There have been a number of motorcycles in the past. 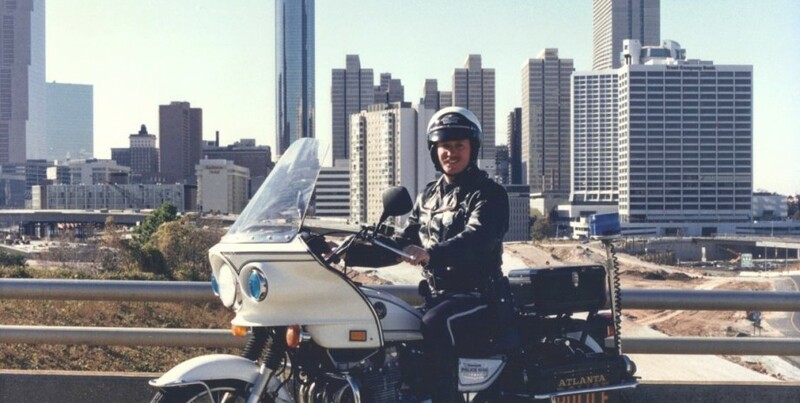 While working for the police department Chris was a motorcycle officer for 5 years. In the spring of 2006 we decided that we wanted a motorcycle (again) after a hiatus. Donna wasn’t too sure about how much she wanted to ride as a passenger but wanted to give it a try. We bought a 2006 Suzuki C50T Boulevard. Well Donna took to riding like a duck takes to water! It wasn’t long before we were looking for a bigger, more touring oriented motorcycle. In the fall of 2008 we found a well cared for 2002 BMW K1200LTE touring motorcycle that pretty much fell into our laps. We couldn’t pass it up! 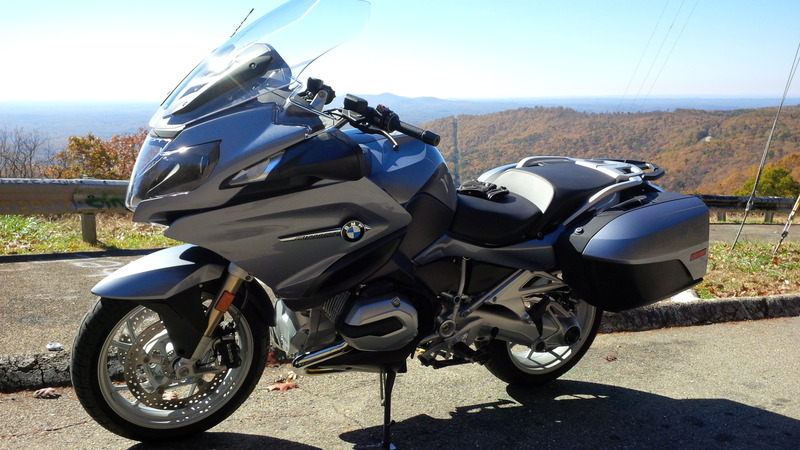 Then in October of 2014, we traded in our K1200LT with 85,391 miles on it and purchased our current motorcycle, a 2014 BMW R1200RT. This blog and site is way to share our journeys and motorcycling fun with others. Chris is a member of the Blue Knights, an international law enforcement motorcycle club and is currently the Vice President of Georgia Chapter VI. 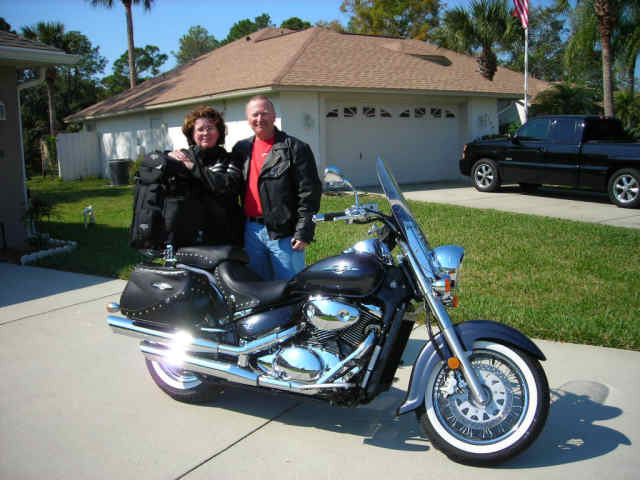 After buying the BMW K1200LT both Chris and Donna joined the BMW Motorcycle Owners of Georgia and Chris is a member of the BMW Motorcycle Owners of America. While we ride whenever we can our trips have taken us to Bike Week in Daytona Beach (once on the Suzuki “Harley a like” cruiser and once on the BMW K1200LT), Daytona Beach to visit family on several occasions and we’ve ridden the entire length of the Blue Ridge Parkway in one vacation. We hope you enjoy reading about our adventures and enjoy your visit here. States we’ve visited by motorcycle. Thanks so much for sharing your pictures. 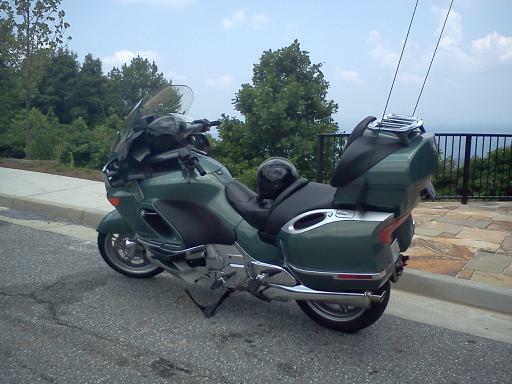 My wife and I have been fortunate to have ridden the Cherohala Skyway and Blue Ridge Parkway. Sure brings back great memories. We’re in Michigan and it seems like winter won’t end! I can’t wait for spring. Believe it or not Chuck, we’ve had rough winter here too! On several occasions we’ve had snowfall you can measure by inches! In fact here, a 6 and a 5 inch snowfall, which is rare down here. The picture above was taken on the Tail of The Dragon, not far from the Cherohala (which I think is a better road anyway). My life story regarding motorcycles is quite similar to yours. I am also age 50. Got my first cycle at age 13 and several bikes until about 28 when we started having children. The kids are now grown and the wife said it was time to get a bike again. 2002 BMW K1200LT became ours in the spring of 2010. Looking forward to another fine summer of riding…very possibly as far south as Northern Georgia. Thanks for sharing your experiences. Truly enjoyable. Chris, thanks for including me on this…make sure you take some photos in and out of the local WalMarts! !